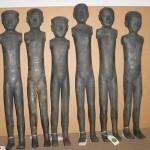 Figurines stolen from Tomb of Empress Dou returned to China by Sotheby’s in 2003. 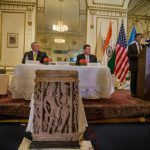 Two 9th/10th century reliefs stolen from a temple in Rajasthan in 2009 and returned from the United States in early 2014. 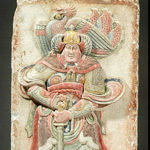 Marble relief panel stolen from Chinese tomb in 1994 recovered from Christie’s New York in 2001.